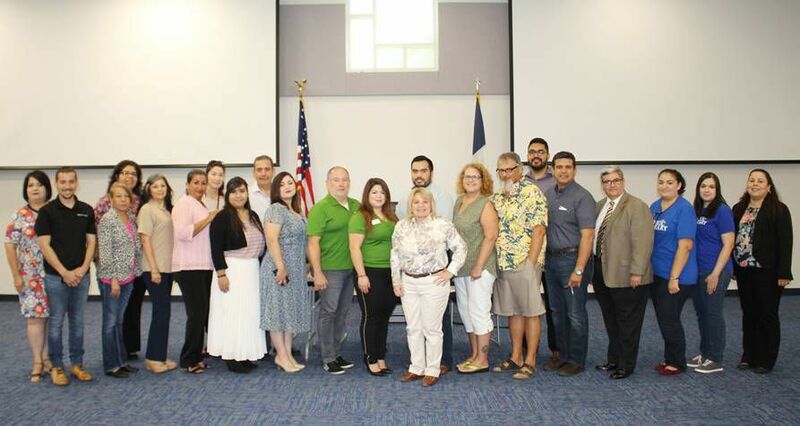 Representatives from various organizations at the Access to Capital event in Rio Grande City on July 6, 2018. Pictured are representatives from Rio Grande City Main Street Program, Rio Grande City Economic Development Corporation, Rio Grande City Library, BBVA Compass Bank, Starr County Judge’s Office, Starr County Industrial Foundation, People Fund, UTRGV Small Business Development Center and SBA. U.S. Rep. Henry Cuellar, D-Laredo, partnered with economic groups in Hidalgo and Starr counties Friday morning to host Access to Capital, a resource fair and financing forum for small businesses, at the South Texas College campus in Rio Grande City. The free event helped people “looking to start or expand their business” in the two counties “learn more about federal and private financing opportunities,” the release read. The purpose was to promote financing resources available to local business owners. 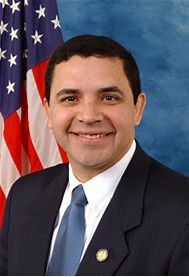 The release expanded on Cuellar’s efforts at a congressional level to help small business owners in the Rio Grande Valley. He hopes his actions will support those at the event and others in similar situations. The groups Cuellar partnered with were the UTRGV Small Business Development Center, Starr County Industrial Foundation, Rio Grande City Economic Development Corporation, Rio Grande Public Library and the Rio Grande Valley Hispanic Chamber of Commerce. Cuellar said he has a personal connection to the event, and his experiences enable him to create effective programs within the community.